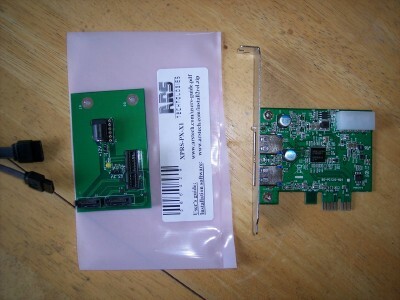 The XPRS-PX-X1 connects with one of our XRPS-HOST-.. cards, and allows using of PCI Express -x1 type peripheral cards outside of a computer system. 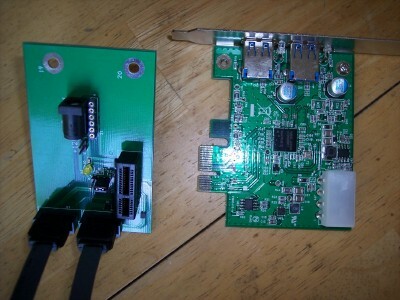 The image shows XPRS-PX-X1 product, cables coming from XRPS-HOST-.. card, and one PCI Express -x1 type peripheral card. There are 2 ways to connect the 2 cables to the connectors on XPRS-PX-X1. Make sure that the XPRS-HOST-.. card is inserted, and the host computer system is powered on. The image above shows the wrong way of connecting the cables to the connectors - the onboard LED is not lit, the LED is not on. In such case remove both cables, switch positions, and plug to the other connectors. 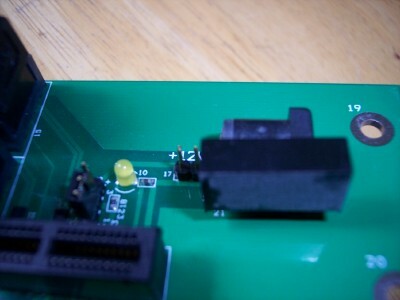 The image below shows the right way - the onboard LED is lit, the LED is on. When the host system is a notebook, and the operating system supports ExpressCard slots, you can dynamically insert/remove PCI Express -x1 type card on XPRS-PX-X1. ARSTech Enumerator provides indication of events, and additional software support for hot insert/ remove. 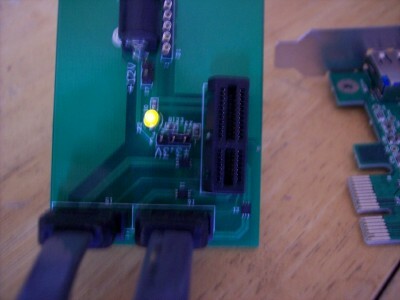 PCI Express cards require 3.3V for powering, and optionally may use also +12V for powering. 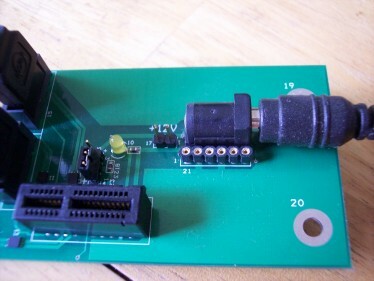 If a peripheral card uses 3.3V with low current consumption, the card may be powered directly through the cables. If a peripheral card uses 3.3V with low current consumption, and needs +12V with current consumption of up to 50mA, you can add the PWR-M1 power module. Specific cards may have high current consumption, beyond the amount of current provided through the cables. In such case, you can connect our PWR-3V product to supply high current on 3.3V, or PWR-12V product, to supply high current on 12V. The power jumpers positions may need to be moved - please check the User's Guide .pdf, the chapter on XPRS-PX-X1, for details. 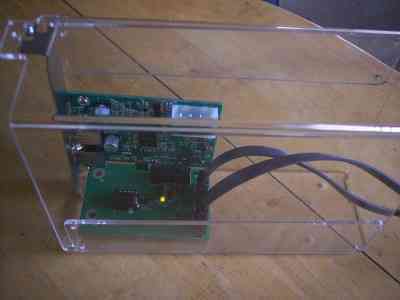 The XPRS-PX-X1 together with the PCI Express -x1 type card may be mounted in an enclosure. 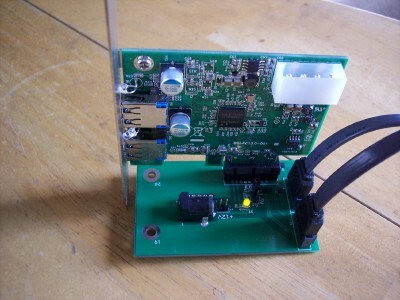 The image below shows putting the cards in our ISA-PCI-B1 enclosure. Longer and larger PCI Express -x1 type card may be put in our ISA-PCI-B2 enclosure.